The new Greek government that took office in January 2015 made a commitment during the election campaign that Greece would stay in the Eurozone. At the same time, it also declared that Greece’s relations with its European partners would be put on a new footing. This did not materialize. The Greek government accepted the continuation of the existing agreement with its lenders, the International Monetary Fund, the European Commission, and the European Central Bank. This was the only way of ensuring Greece would not run out of funding. Throughout the negotiations, the crisis in Greece received intense media attention. Again, the very future of the Eurozone became a subject of much discussion on the international stage. Following days of uncertainty, public opinion in Greece appeared to have endorsed the softening of the government’s position vis-à-vis its lenders. But doubts about the future remain. The most pressing problem to be tackled by the government is covering its funding needs over the next few months. Greece will have to make a tremendous effort to meet the terms of the agreement. Within the Eurozone, there is a growing feeling that Greece is particularly problematic. The perception that the ‘Greek question’ has not yet been settled and that new difficulties will arise in the future still persists. 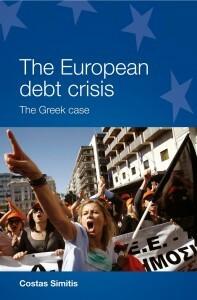 This most recent phase in the Greek crisis allows us to draw some general conclusions about the future of the Eurozone. The Eurozone is a project that goes well beyond the joint endeavors of its member states to implement a common monetary policy. The Eurozone has evolved into a very close form of cooperation, a joint system of addressing economic problems and building tools for its economic governance. In this context, wider political considerations cannot be disassociated from the economics of running Europe’s single currency. The recently enacted Banking Union is further evidence of the Eurozone’s continually expanding remit. In this new, more intensive form of cooperation, member states have far less room to act independently. Greece’s desire to be a part of the club without fully committing to its rules is increasingly out of touch with reality. All member states that are committed to this joint endeavor cannot neglect their responsibilities or pursue their own ‘independent’ agendas. Despite its recent reforms and expanded remit, the Eurozone remains an unsatisfactory system of governance. While the Eurozone is now better prepared to deal with future financial crises, its ability to address their deep-rooted causes effectively is still limited. The pace of economic growth in Europe is sluggish, and—despite contrary proclamations—the problem has not yet been dealt with effectively. The initial reaction to the Greek debt crisis in 2010 failed to adequately assess the country’s economic problems, making a bad situation worse. The inability of the Eurozone’s political institutions to articulate a coherent response to the crisis put the spotlight on the European Central Bank (ECB) as a key player in overcoming the deadlock. In January 2015, the ECB launched a massive program of quantitative easing in order to boost economic growth. The ECB, however, is not a democratically accountable institution and its activities are not the subject of parliamentary scrutiny. In this sense, the ECB should not be permitted to assume the duties of a government. During Syriza’s confrontation with the Eurozone, many predicted a ‘Grexit,’ or a Greek withdrawal from the Eurozone. Ultimately, Greece’s lenders did not push for it although there was incomprehension of the Greek stance. Hardliners back in Greece who had previously claimed that the Russians, the Chinese, or even the United States would come to Greece’s rescue also hesitated to press the ‘Grexit’ nuclear button. Exit from the Eurozone, it seems, is not a feasible option. Any country that attempts it will risk financial ruin. For the Eurozone itself, the financial cost of a potential exit may be manageable but the reputational damage to the project is too high to bear. Despite the widespread belief that the Greek crisis highlighted the need for greater economic and political integration in Europe, recent developments in Athens point to the reverse. The Eurozone’s problems persist not because member states act too fast, but because they procrastinate. These problems will only multiply if each country continues to follow its own fiscal policy or implement Treaty provisions at its own discretion. A fiscal union encompassing a common budget and a common European tax regime, redistributive policies to mediate inequalities in the productive base of different countries, and the pooling of European debt in order to support the development of less successful economies, are both desirable and feasible. They must all be linked to the strengthening of the European Parliament or the creation of a Eurozone Parliament so that the leadership of the Union can be held accountable. These developments will ensure that no member state—Greece, in particular—will be able to pursue its economic future outside the context of the Eurozone. It is only through cooperation with other member states that a country can improve its negotiating position and change the balance of power within the Eurozone. Greece’s own desire to remain in the ‘core’ of the European Union is inextricably linked to overcoming its own backwardness, pursuit of continuous reform in the public administration so that it is more cost-effective and productive, changes in its economy in order to enhance the productive and technological potential of the country, persistent efforts to defeat clientelistic networks and free-riding attitudes, as well as a new thinking on how to promote social justice and cohesion. Greece must also adopt a European policy that breaks away from its ‘traditional’ attitude of seeking exemptions and defending the self-defeating notion of its own exceptionalism. It is in every country’s interest not to be seen as a perpetual exception—a ‘problem’ that never goes away. Category: Business Studies, International Relations, Politics	20 Comments.